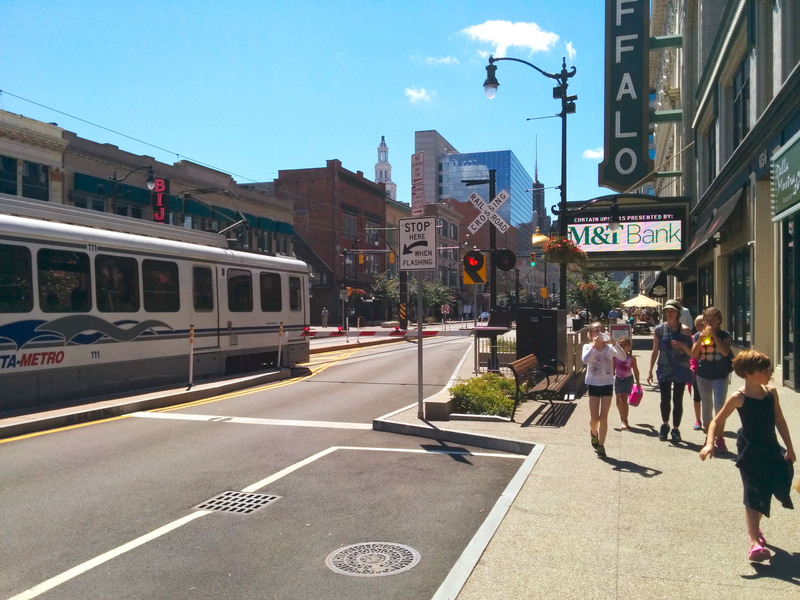 A completed section of the Cars Sharing Main Street project, which is underway in downtown Buffalo. Buffalo Billion funds are being utilized to create accessible, vibrant and sustainable communities. The Buffalo Billion revitalization strategy focuses on giving all residents of the City of Buffalo greater access to the major employment hubs and creates stronger transit and transportation access linkages between neighborhoods and existing and burgeoning employment centers, job training facilities and services. The program will foster the transformation of the City of Buffalo’s physical environment. The Northland Avenue Corridor is a brownfield redevelopment project on Buffalo's East Side. This waterfront destination will improve and expand access to outdoor recreation.